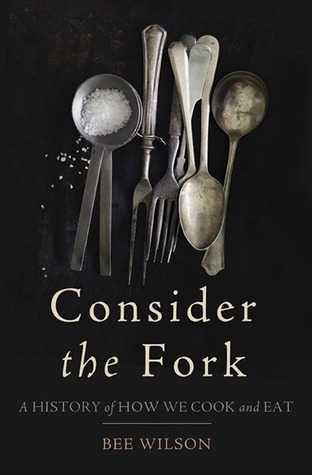 Consider the Fork: How Technology Transforms the Way We Cook and Eat by Bee Wilson was one of my favorite Christmas presents this year. It covered my loves of history, gadgets, food, technology, entomology, popular culture and even evolution and anthropology. The major broad themes were very interesting and enlightening while being very well researched. There were a few short sections on individual technologies which did feel a bit throw in almost as afterthoughts or which were related to the bigger topics, but just didn’t stand up on their own. Fortunately these didn’t detract from the overall work, though I did feel a bit more on these could have been written. This is one of the most interesting books on food which I’ve had the pleasure of reading.